Like an online dating match leaving breadcrumb text messages, In-N-Out Burger periodically lets us know it's interested in coming to Humboldt County. Someday. Maybe. And every time, die-hard fans of off-the-menu ordering get worked up only to be put off again. Let's keep in touch! “They have definitely submitted permits, so that means they are very invested in the project … there’s still a lot to sort out," says Planning Department Director Robert Holmlund. "We’re working with them on the project to make sure it’s as good as it can be for the community.” That work includes nailing down a coastal development permit, a conditional use permit and a California Environmental Quality Act mitigated negative impact declaration, which touches on traffic, aesthetics, air quality and other issues. The proposal is tentatively scheduled to go before the planning commission Dec. 10. But is In-N-Out Burger really into us? The folks at corporate headquarters remain cautious about a timeline for a yet unapproved project. 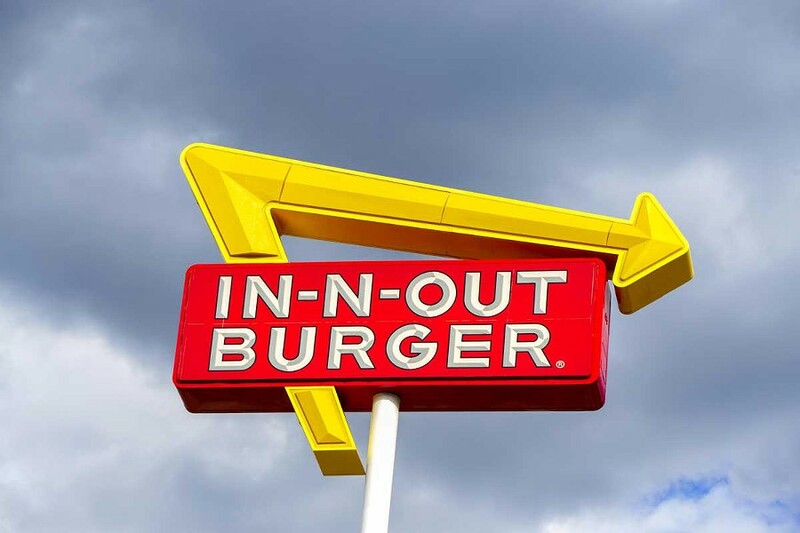 In an email to the Journal, Vice President of Development at In-N-Out Burger Carl Arena wrote, "We do hope to open a restaurant in Eureka in the future. That said, it is still very early in the development application process so design elements such as building layouts, site circulation and access are still evolving." He goes on to say, "Once we begin construction on a new location, it usually takes us four to five months to build a restaurant and open for business. However, there is still quite a bit of work to be done before we can even set a time to begin construction. Because it is still so early in the process, it would be premature to comment on a timeline or if we will even achieve a development approval." In a New York Times article, Arnie Wensinger, the burger chain's vice president was quoted as saying, “While it is unfortunate that our contributions to support both political parties in California has caused concern with some groups, we believe that bipartisan support is a fair and consistent approach that best serves the interests of our company and all of our customers.” Whether those donations affect who's in or out among the Humboldt customer base remains to be seen.